The Lion t-shirt is part of the official uniform for Lion Cub Scouts. 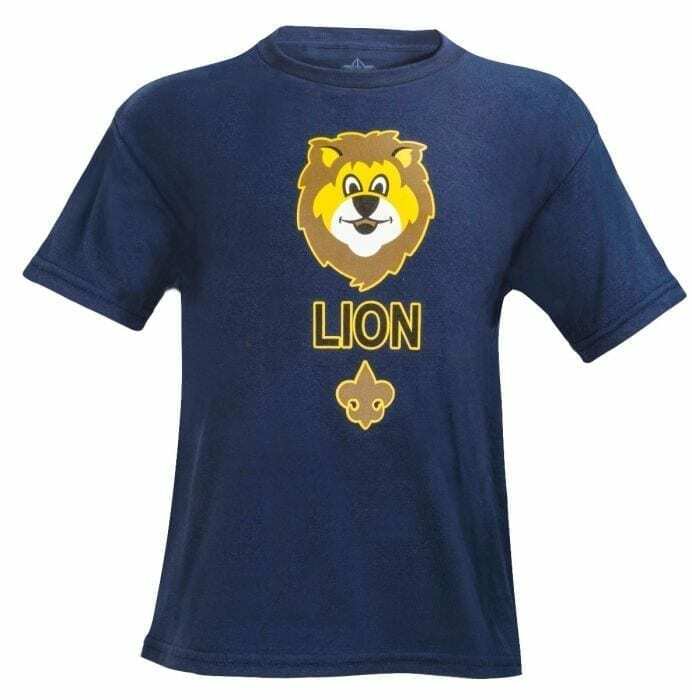 It features the lion logo across the front of the chest and has “Lion” emblazoned underneath with the Boy Scouts of America fleur-de-lis. It is navy blue and made from 100% cotton.